The amazing Gamble Vineyard in Yountville became available to us after 5 years of twisting the arm of friend and vineyard owner Tom Gamble to get some of his fruit. This vineyard has been family owned for decades and is home to some of the best Sauvignon Blanc in all of Napa Valley. Our esteemed winemaker, Thomas Brown, kept a watchful eye on the vineyard and the fermentation of the 2017 vintage, and the wine has enjoyed 10 months in stainless steel barrels. 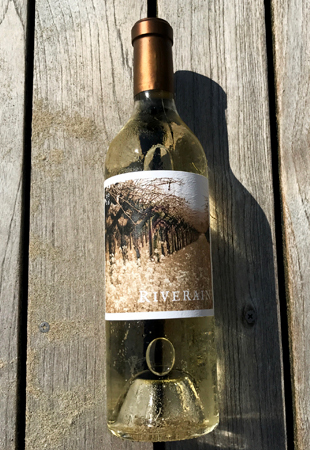 The wine has a wonderful roundness while still maintaining the classic Sauvignon Blanc flavors of gooseberry, lemon, lime and a bit of a fennel note. We really like the fruit and acid balance in the wine. Modest alcohol and dense flavors make this perfect for warm weather, and can make any ordinary day or celebration a much remembered experience! Because we have just 70 cases to go around, we decided to simply sell these in six packs.